Tiffany floor lamp with stained glass of yellow, red and green colors on a heavy metal base. 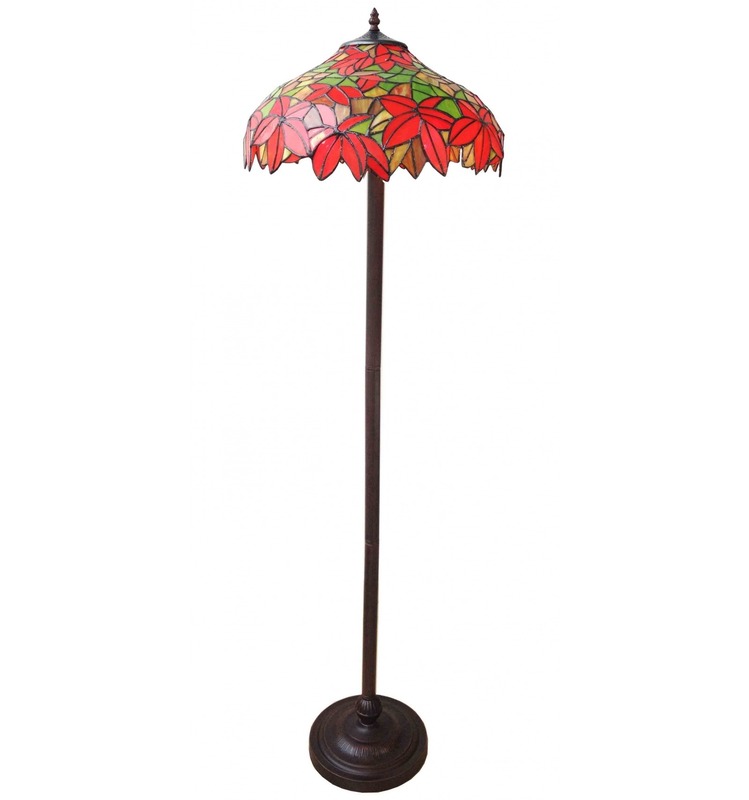 Tiffany floor lamp of the Madrid series with a stained glass window in the colors of Spain on a patinated metal base. The floor lamp Tiffany Madrid is part of the series of the same name, you can associate it with a wall lamp, a lamp or a chandelier. Diameter of the basin: 41 cm. Number of bulbs: 2 of 100 w max - E 27. The Tiffany floor lamp is electrified, equipped with the foot of a switch, like all our Tiffany lamps, it has received CE and RoHs certification.